Recently I stumbled over out ULS Logs on the Web Frontends. Suprisingly they were empty, 0 bytes. I checked the permissions for the account the tracing service is running with (Web Application Pool Account). Everything was fine, same permissions as on the other servers where it was working. So I checked the local groups and found out the tracing account must be a member of the “Performance Log Users”. Add the account, restart the “SharePoint Tracing” Service and you will see the uls logs growing. 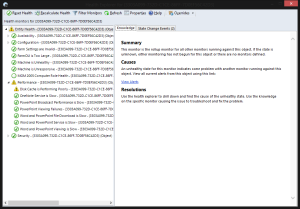 So how to display health status of a Dell Perc 5/i (LSI 8404E) in ESXi incuding battery and raid status? Nothing easier than that. Most admins know the Dell Perc 5/i is a LSI 8404E with firmware and bootloader from dell. Upload the VIB File to your ESXi and install via commandline. 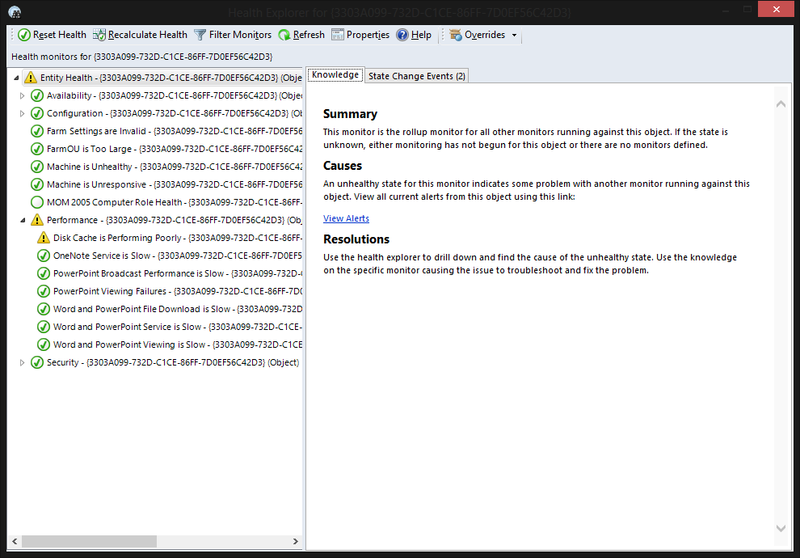 Simply reboot your ESXi and now you can view the health status on your server. UPDATE: LSI was aquired by Avago and Avago was aquired by Broadcom. Official answer from Microsoft USA. It’s been finally decided that the Management Pack is discontinued. Disappointing. However, feel free to use my fixed Management Pack. I’ve unsealed the Managemant Pack and added the missing strings. You cannot upgrade the existing one as I don’t have the signing keys. Good luck! It’s been finally decided that Office Web Apps Server MP will be released by the Web Apps Server team. My team is working on getting this out the door as soon as possible, but there will be official release. In most case Microsoft offers a management pack for operations manager shortly after release within a few weeks or month. This is not the case for Office Web Apps 2013 for Exchange/Lync/SharePoint. The Guide was released more than a year ago. As stated in the Document, Management Pack “Microsoft.OfficeWebAppsServer.mp” + “MicrosoftOfficeWebAppsServer.Config” is needed to monitor Office Web Apps Server 2013. So where to find it? There is a link on technet forums and this is exactly the same that we received from the support engineer. You can download the management pack from the link at the end of the thread. This is a buggy version of the management pack but it works. I will update the post when I get a release date.